This entry was posted in DE and tagged nachrichten on January 3, 2014 by FEMEN. This entry was posted in PL and tagged nowości on January 3, 2014 by FEMEN. Micaela Schäfer – "Ich liebe Pornos!" Der Wirtschaftskalender wird Ihnen von de.investing.com, dem führenden Finanzportal, zur Verfügung gestellt. 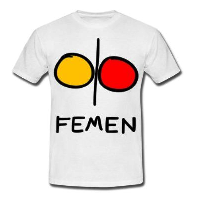 This entry was posted in FR and tagged nouvelles on January 3, 2014 by FEMEN. This entry was posted in CZ and tagged noviny on January 2, 2014 by FEMEN.